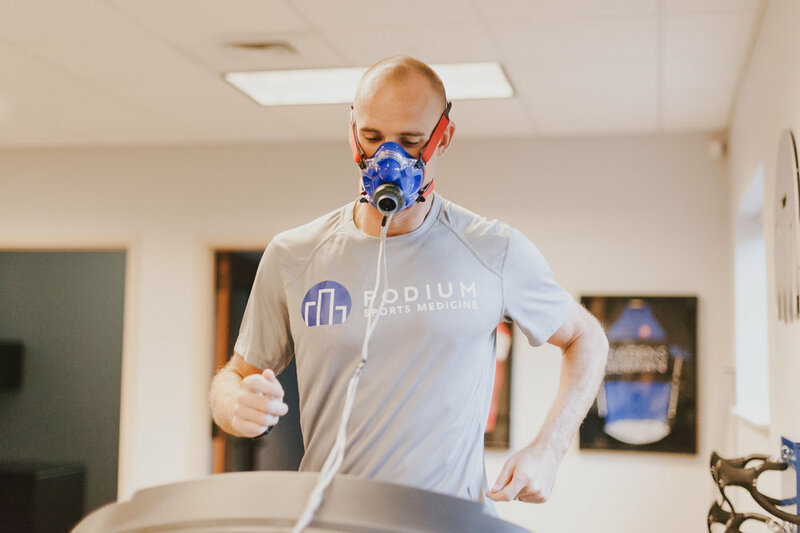 VO2 max (also maximal oxygen consumption, or maximal aerobic capacity) is the maximum rate of oxygen consumption measured during incremental exercise. Maximal oxygen consumption reflects the cardiorespiratory fitness of an individual and is an important determinant of their endurance capacity during prolonged exercise. The VO2 max protocol is a ramped test performed either on the treadmill or on your own personal bike. The test will take roughly an hour with at most 30 minutes of moving time. After the test we will go over the results with you to ensure you have a good understanding of the data collected.